A new year with new challenges…and a few old ones that slid right on over into 2014 like grease on a slick countertop. Tell me, have you ever wanted to throw up your hands because the same old struggles cling to your heart and wrap around your soul. “Why bother! I’ve prayed. I’ve tried. I’ve cried. And nothing ever changes! New year, same old struggle.” Any of that sound familiar? Can I take you over to a passage I’ve been pondering this week? It’s Mark 5. Usually my heart gravitates to the “woman with the issue of blood” –a woman who was defined by what was wrong with her, rather than what was right. But that’s a post for another day. Today, I want us to stand in the crowd and listen to Jesus’ exchange with Jairus. My Bible heading calls the passage: A Dead Girl and a Sick Woman. Can’t get much plainer than that. Jesus arrived on the scene in Mark 5, and a crowd of people gathered round. Jairus, one of the synagogue rulers, parted the sea of people and fell at Jesus’ feet. He pled earnestly with the Healer, “My little daughter is dying. Please come and put your hands on her so that she will be healed and live.” So Jesus went with him. Just like that. Just that simple. But then our friend, the woman who was defined by what was wrong with her rather than what was right, the woman who was not even supposed to be around people because she was considered unclean…that bodacious faith-filled gal reached for Jesus’ robe like a sprinter reaching for the finish line, stole her healing right out of him, and interrupted the entire processional. But like I said, that is a story for another day. Maybe you feel that way as you head into another year with the same old struggle. Oh sister, that is EXACTLY what the devil wants you to say. I’ve tried to have a loving marriage, but it’s never going to change. Why bother? I’ve tried to lose weight, but I’m still fifty-pounds over weight. Why bother? I’ve tried to exercise regularly, but something always comes up. Why bother? I’ve already made so many parenting mistakes, it’s too late to change now. Why bother? I’ve prayed for my brother to come to Christ, but he’s meaner than ever. Why bother? I’ve looked for a job for ten months and keep getting rejected. Why bother? I’ve tried to remain sexually pure, but keep falling into temptation. Why bother? I work so hard at my job, but no one seems to notice. Why bother? I could go on. I have my own list of why bothers. Satan has uniquely crafted one just for me, just as he has contrived one specifically for you. I called Gwen Smith (my ministry partner), and she tried to talk me down off the emotional ledge. It was not pretty. So what are we going to do about those why bother moments that are sure to come in 2014? Give up? Give in? Give way? What did Jesus do? (Oh I love this!) Let’s go back to Mark 5 and pick up in verse 36. Ponder that. He ignored the naysayers. He ignored the doubters. And sometimes the voice we need to ignore is our own. Jesus kept walking. He kept moving toward the miracle. When he went to Jairus’ home, and told the mourners that the little girl was not dead, but simply asleep, they laughed at him. What did Jesus do next (Oh I love this too!) “He put them all out.” He put them out and shut the door. He simply went into the room, performed the miracle, and then went on his way to his next assignment…leaving all the doubters scratching their heads. So here’s what I’m going to do in 2014, and I hope you’ll join me. When I feel a “why bother” rising up in my throat, I’m going to ignore the voice in my head and keep moving toward my miracle. When I sense the devil planting a “not probable” smack dab in the middle of my “all things are possible,” I’m going to ignore him and keep moving toward my miracle. When others tell me “why bother” and encourage me to lower my expectations to the mediocrity of lukewarm believers, I’m going to ignore them and keep moving toward my calling. When doubts hop on me like fleas and discouragement dumps on me like rain, I’m going to turn to Mark 5 and read the story all over again. It’s finally here! Learn how to pray Scripture over your man in 5-7 minutes a day. And make sure and sign up for the 30-Day Prayer Dare that will begin mid-January! Learn more at www.prayingforyourhusband.com. I’m going to keep moving toward my miracle! I’m going to keep moving forward towards my miracle!! Thank you for allowing our Heavenly Father to use you! I’m going to keep moving toward my miracle! God Bless You as He moves you to yours! I too will ignore the “why bother” moments. Thank you needed this very much so. I am too am going through a why bother moment, thank you again for that reminder. I know that need to ignore what has been done in the past, and just keeping on praying, trusting and moving forward towards that miracle. God never stops even if we do. Thank you for that I pray that any that read this as well remembers that even faith as small as a mustard seed can move mountains. I’m going to keep moving towards my miracle!!!! “I’m going to to keep moving toward my miracle.” Thank you for this encouraging message I really needed to hear these words. It gives me courage and support to know I can walk knowing “not to be afraid, just believe,” as Jesus said… I will continue my walk “ignoring what they say!” May God bless your heart and continue giving you word of wisdom for us. Why bother?.I am a single 54 year old woman with graves disease that seems to be getting a bit better and now I have a paratoid tumor that requires surgery soon.Living on the East coast of Canada we have had a brutal winter .My water pipes have frozen and busted leaving me with a mess that insurance likely will not cover and a newly shingles roof that has decided to leak into my living room. I am not looking for sympathy, just telling you why I bother!..I know my Lord and Saviour has big and better things in store for me beyond what I am going through now. This is just a hump along life’s pathways. I have 3 children and 5 grandchildren that are the heart of my home. I keep this home for them to come to as a place of peace and love. I bother because my Lord has promised me he will never leave me nor forsake me. There are days I want to say,”Why bother”, but I hold fast to the words of my Lord and Saviour and look ahead for a brighter tomorrow. Kathy thanks for sharing your tenacity & hopeful spirit. I live in Ontario & we are having a brutal winter too with long power outages & frigid -25c temps. I pray that God will meet each of your needs as you continue to look to Him. This was a good word today, Sharon Jaynes! Keep going girl. The one thing about bumps it tends to throw us on our knees where we get our extra measure of strength. We can only do what we can do but God says “then ask me”. He never leaves us alone to fight our way back up! Keep on keeping on! My dear, keep holding on to the words of our Lord and Saviour. He will never leave you or forsake you. Please read Jeremiah 29:11. God bless you! Kathy,I’m adding you to my prayers. I don’t usually read the comments on blogs but today I did. Maybe because I told God this morning I want to be still and listen to Him and really hear Him. He wants me to intercede for you. YOU are an answer to my prayers today. God bless you Kathy. I’m going to keep walking toward my miracle. I’m keeping moving towards what God has for me, and thanks Sharon for your blog and the Girl-Friends devotions you write. They’re really encouraging. Thanks for this message. Really the encouragement I needed at this time. Sharon, I’m going to keep moving toward my miracle! I’m not going to let the “why bother blues” deter me, or cause me to give up on me in 2014! Thank you for this post! I’m going to keep moving toward my miracle. Thank you for allowing God to use your words to encourage others and myself. Have a great day! Started to leave a comment, then thought, “Why bother? She gets so many comments, mine won’t matter.” But I didn’t listen to my thoughts! Thanks for this post. As an easily discouraged people pleaser, I needed this. And I’m encouraged that “even you” make typos!!! Please keep bothering! I am so glad you did!!! “Nothings going right”! Then things changed! I had forgotten again, the said when I get so flustered, just tell Him, “I have had enough.” Then boom, in reverse, Miracles start happening. I was exhausted beyond measurement, first I got flustered and the battery in my cell phone and kindle Fire went dead, my stove wouldn’t heat, so I step away from and went for a walk, I saw something and decided, good I’m going to the third floor. I never made it! Just as I The elevator doors opened, I played football and fumbled my keys, the a space between the door and the floor. That’s where they fell…short version: 10 days without keys. I felt grounded, but someone forgot to tell me why! I have my keys, cell battery in only one bar low and my kindle Fire has 50% on it juice. “There is nothing new under the sun”! Your not alone, others have Been there and Done that! DON’T GIVE UP! God said So. This is exactly what has happened in the past few weeks, with that being said, I have moved on to my miracle!!! Thank you for the reminder that He has the Victory and so do we! Blessings! I’m going to keep moving towards my miracle! Thanks for the reminder Sharon! I’m going to keep moving toward my miracle! This email will be printed so I can read it over and over. Exactly what I needed to read. Be blessed my dear sister in Christ! This was such a timely message for me! I am so glad that you shared it. I needed to hear that it is okay to “ignore” people when they are hurting you and speaking discouragement. “I’m going to keep moving toward my miracle.” Yes, Maam!! I want to apologize for the mean person who complained about a typo in your blog. We are all human & make mistakes & we should all learn to administer grace so it’s available to us when we need it. I’m in the midst of a situation that could really test my faith, but I refuse to doubt God & I will stand on His Word no matter what. Stay encouraged & know there are more of us who are encouraged by you than those who criticize you. Be blessed! I am going to keep moving toward my miracle…He is faithful! I’m going to keep moving toward my miracle. I’m going to keep moving towards my miracle!!! I agree with you Sharon and I’m going to keep moving toward my miracle.Praise God.Amen! I am going to keep moving forward to my miracle! Sharon thank you thank you thank you!!! I’m going to move on to my blessing. I have been struggling this past weekend with some pity party issued and moving into the new year. Your message just gave me the push I needed. I am going to keep moving toward my miracle! Sometimes I listen to Satan’s lies and beat myself up over past mistakes and failures….I will hold to the truth of Romans 8:28…HE works all things (even my mistakes and failures) out for the good. I will not allow the past to defeat my future. I’ve been struggling with the same old family issue and see no movement and get so discouraged! Your message was just what I needed to hear! So blessed that we all can share and keep moving towards our miracle together! Thanks for that, I’m going to keep on keeping on with who I want to be! And you keep writing! We need you! This was just what I needed this morning. ..Our house has been on the market since September and the final stages of a sale was taking place and yesterday it fell through. We feel led to move to Nashville where my 3 children and grandchildren live.One is a special needs little guy and we need to be closer to help.I felt the disappointment so overwhelming today…and the why bother is creeping in…I will keep moving towards my miracle ! Thank you for your words of encouragement. I am going to continue to pray for my miracle! I have these kinds of moments almost every single day, thank you for finding a passage that not only addresses the “why bother” attitude, but for also giving me another way of looking at things instead of wanting to give up and give in. I’m going to keep on moving towards the miracle that God has for me, all I ask is that you continue to pray for me. Have a wonderful day! I am going to keep moving toward my miracle – finishing my book and getting it published!! I will keep moving towards my miracle, I will fight the good fight of FAITH. You have no idea how much I needed to read this this morning!!! Yesterday I felt so overwhelmed and crazy I didn’t even know myself anymore. I’m going to keep on moving toward my miracle. I’m going to keep moving towards my miracle! Blessings sisters! I will keep moving towards my miracle. This was just what I needed this morning I received a disturbing text this morning and I refused to let the message control my mood for the day. Instead I chose to continue to bless and honor God and be thankful for all the blessings he has given me. Wow I must say I can truly see the change in me what a difference the touch of God can make in your life. Thank God for Jesus. Oh how tears came to my eyes this morning reading your encouraging words. I have had such a tough 2013 and yet 2014 seems to be coming in as strong. Just last night at 3am I was in the Why Bother attitude. I felt like giving up completely! I tried to pray out but no words would come. I dragged into work this morning and started my morning with your devotion. Oh how God works on us in times when we need it the most. Thank you for allowing his spirit move through you to reach out to us. I am definitely going to keep moving toward my miracle. Please don’t get discouraged Sharon. Your gift is such a blessing to us that are hurting and needing to feel the encouragement you give daily. We appreciate you! Thank you, thank you, thank you!!!! It’s the only words that come to mind…I praise God for giving you the ability to write and say the right words . I will keep moving towards my miracle! Thank you Sharon for obeying God’s will for your life as you minister to us. Also thank you for the insight to allow comments. It is so spiritually uplifting and encouraging to read others’ comments and feel the Christian fellowship with my “online sisters in Christ”! I pray for you as you continue to share with us and for each of the women who read this today as we all keep moving towards our miracles. “I’m going to keep moving toward my miracle.” Yes. I. Am!! WOW!!! Was the Lord speaking to ME in this devo today or WHAT??? Yes he sure was and I am saying that I am moving toward my miracle today!!! Thanks for your devotions Sharon. You have opened my mind today. I love how God uses others to get to all his people and show them different ways to get through things. I AM GOING TO KEEP MOVING TOWARDS MY MIRACLE! So what if it has been 3 long years that my poor son has been debilitated with mental illness. God has not forgotten. I want to be like a sprinter running to God! Thanks Sharon! Just what I needed. I seem to be misunderstood most of the time and have been living in the land of why bother. Thanks for reminding me that I don’t need to live there. I’m going to keep moving towards my miracle !!! Thank you Sharon. Another one that needed to hear that. I’m going to keep moving forward to my miracle. There’s one in particular that somehow I believe can happen but all the time the possible turns to improbable for me. A situation that has been going on for a while and just came to a head. Now there’s a little ray of forgiveness and it’s time to move on. But I’m trusting God that there is a step of “What next” in order for more freedom and forgiveness. Praise God for my trials as through it all God is revealing more of himself to me. He’s shown me just enough to know that nothing is impossible with God. I will not give up my prayers. Until he leads and provides a next step. My miracle is a long way off but pray I never give up. I am going to keep moving towards my miracle…. I will keep moving towards my miracle! Thank you for this! It is just what I needed at this moment. I’m going to keep moving toward my miracle! I really needed to hear this. I have been in such a spiritual slump lately….Thank you for this! God Bless you! I am going to keep moving towards my miracle of healing of my ears! Thank you for the encouragement and being transparent Sharon! I plan to share your story with my ladies prayer group. We must PUSH ( pray until something happens). Have a blessed day everyone! I’m gonna keep moving toward my miracle! Thank you for the encouragement! I’m going to keep moving towards my miracle! Praise God!!!! Amen Sister!! I will keep moving toward my miracle. I can not begin to tell you what you and your other to cohorts have done for me in getting me back on the right thinking track. You are servants of The Lord with a mission He has given you. We all have a mission He has given us if we have given ourselves over to his army. Fall down, yes! Stay down, no! Our Commander and Chief will not leave us or forsake us. It is hard to stay on that mountain that is why He takes us to the valley! So our eyes can get refocused as He leads us out. Of course, you know I’m talking to myself as well. I tend to wallow in the valley but Thank God He gets me out. He does so on His own accord or sends one of HIS warriors of His army to give me a big push. Thanks for the pushes Sharon. He will continue to arm you with the strength as you march on! I am going to keep moving towards my miracle. In JESUS’ Name. Amen, Amen, Amen!! I will keep moving toward my miracle! * thanks for the motivation to press forward Sharon* I love your obedience!!! Running towards my miracle (maybe a little slow at times as I dodge the obstacles) but trying to keep my eye on the prize. I really needed this today and I have not been checking my e-mails very much recently but I decided to today and I actually read them! Thanks for your encouragement. I will keep moving towards His miracle. Sharon, Thank you so much for the encouragement. I really needed that today. And please don’t let those “correctors” get you down! You do such an important work – it has helped me more than you know. Keep on keeping on, girl! Love you! Wow! just what I needed to hear today! I’M GOING TO KEEP MOVING TOWARD MY MIRACLE!!! ’m going to keep moving toward my miracle! This was so meant for me today. I have over 10 devotionals emailed to me daily, and for some reason, God spoke to my heart and told me to open this one. I have been at my wit’s end, and overwhelmed all weekend, and today I just felt like sitting on the floor, and giving up…But God stepped in, and spoke to me through your devotional. Thank you so much for sharing Sharon, and God Bless you. Did I ever need this, this morning..I had my emotional ledge yesterday and my “Why Bother” I’m quitting moment last night. Yesterday My day started with a beautiful e-mail from someone I don’t even know then was followed by 2 situations of dishonesty yesterday that thoroughly rocked my inner being … My night of sleep was ragged and my morning wake up had my tummy doing flip flops .. I so needed this today ! Thank You so much …I’m moving toward my miracle …! Thank you for this reminder. I’m going through a “why bother” time in my life and this is exactly what I needed to read this morning. Thank you! I am going to keep moving towards my miracle. Very timely this morning! 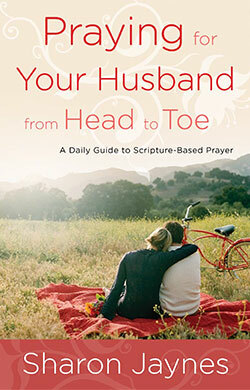 Just received my Praying foot your hubby H2T, Thank you for writing this book! I am going to keep moving toward my miracle!!!!! I have really been in the why try anymore mode, but I am going to continue toward my miracle!! Amen! !& thanks!!!!! I’m going to keep moving towards my miracle! Thank you Sharon; you are always a blessing to me….and forget the critical remarks….you bring me closer to God on a daily basis. I’m going to continue moving forward toward my miracleS. I’m all in! I am going to continue moving toward my miracle. I have had many “why bother” moments but I know that Christ is with me and will get me through each one I have this year. I am very overweight and in constant pain and I do need a miracle. i am going to keep moving towards my miracle. I’m going to keep moving toward my miracle! I needed this so much! Thank you! Ohh just love it, so true!! I’m going to keep moving forward!! Forgive all your true fans for not sending more encouraging notes! We pour over your messages and love how you bring us closer to God. You give us such nourishment for our soul. Forgive us for not telling you more often, so you will have an inbox filled with gratitude that God speaks through you. That He uses you as a conduit to help us all see that our lives are better with Him in it. My only question is why would someone bother to tell you about a typo? How empty must her life be if she zeros in on something trivial instead of rejoicing in the truth you shared? I heard once that a person needs 9 attagirls for every awshucks. I pray that we all step up and give praise to you and God! Atta girl! I love that! 9 attagirls for every awshucks! I am going to keep moving toward my miracle. Needed this today!! I am going to keep moving toward my miracle!!! I’m going to keep on moving forward toward my miracle. This was, Thank You, God, the perfect reminder for me this morning. I have waited through 14 months for my guy and his son to get here face-to-face. We both love God and sense He is leading us to marriage. God has been growing our faith as individuals and as a couple through many delays and seeming obstacles. GOD IS GREATER than anything we have or will face. Thanking and praising Him in the midst of another “glitch” is what He has called me to today and your posting, Sharon, was spot on! I thank God that He not only speaks through His Word, His Whispers, but also through His children. So glad we are sisters in Him! Pray for you daily. Thank God for your ministry and the blessing of your devotional, “Why Bother?” Very inspirational! I am going to keep moving toward my miracle. God Bless you, Sharon Jaynes, for your biblical wisdom. Thank you. Thanks so much! I needed to hear this today. I am battling some of the same problems from last year and there seems to be no end in sight. I am choosing to believe and I’m not signing for any of Satan’s nasty packages delivered to my door! I really needed this encouragement today. I am going to keep moving forward toward my miracle! I am going to keep moving toward my miracle. Thanks for the reminder! I’m going to keep on moving forward!! Amen!! I am going to stop giving Satan so much power. I am going to keep moving toward my miracle. Thank you! “I’m going to keep moving toward my miracle.” Thank you Jesus!!! I believe that I will receive my financial miracle!!! I’m going to keep moving forward toward my miracle! Thank you so much for this. Such an encouragement. This is just what I needed right now, during these times when I’m just about ready to give up on things, people, and situations in my my life. Thank you. I will keep moving towards my miracle!!! God bless you Sharon. A week into the year and I have already asked myself this a hundred times. I am pregnant and due in about four weeks. I was questioning myself on weather to just schedule a csection or hope for a second vbac. There is no reason to schedule but with two kids at home I thought why bother waiting to see what happens, it’s easier to just make plans. I am going to wait for my miracle…. starting with this pregnancy. 2014 will be a huge year of change for my family. Baby, career chang/job search for husband, moving 13 hrs away to finally se down roots and be close to family, & buying a house. Maybe we will receive multiple miracles. I’m going to keep moving toward my miracle!!!!! MUCH prayer needed. Am going to be moving toward my miracle. So many things but taking one step at a time with Jesus. Am tired and not giving up. Wow, I can’t believe you would have the ‘why bother’ blues! You’re such an incredible teacher I guess I don’t think that the women I put up on that pedestal have the same problems/concerns as the rest of us. I hope that doesn’t read bad – I’m trying to say something good but my words may not be connecting right. I get the ‘why bothers’ so much that sometimes it’s just hard to care about anything or anybody – including myself. I am trying and I will keep working. I am so grateful for your blog and that you share so openly about your feelings, too. God Bless you and thank you so much. Oh sister. I am just like you! I remember when I went to dinner with a women’s ministry director. Her 12 year old son was soooo excited to join us and meet a real author! Afterwards his mom asked him what he thought. He said,”Humph. She’s just a regular old girl.” Amen and amen! I AM GOING TO KEEP MOVING TOWARD MY MIRACLE! By the pure GRACE of God! I’m going to keep moving toward my miracle! Thank you for all that you do. I will keep moving forward with all Mighty God’s help and the Holy Spirit’s leading. Please keep me in your prayers. May God guide me into all truth. I’am with you Sharon I’am going forward with you to meet my miracle head on I’am tired of the battle with Satan telling me nothing will never change, Sooooooooooooooo I will just have to show him I can beat him at his on game.. Thanks for the encouragement.”I’m going to keep moving toward my miracle”! I’m going to keep moving toward my miracle!!! I’m going to keep moving toward my miracle! Thank you for doing the will of God. You are an inspiration to me and so many others. May God continue to bless you and the ministry that you’re doing. Boy did I need this today! God used your blog today to speak to me! Thank you so much for “bothering” to do what you do! Thanks for this post. Much of the time I feel like my entire life is one great big “Why Bother”. My resolution for 2014 is to keep moving toward my miracle. Brenda, I have said a prayer for you this morning. Even though we can’t always see God’s plan, He has one for you. It may be something small or it could be something big but God is in control of us all. I pray that God will show you His peace beyond all understanding and lead you out of this “why bother” time so you can experience His wonderful love for you. I’m going to keep moving toward my miracle! Thank you so much, Sharon. This was exactly, exactly what I needed to hear today!! Thank you! Be blessed!! “I’m going to keep moving toward my miracle.” I received this blog yesterday, but did not read it until today … just on time! Thank you. Oh! Thank you for these beautiful words of scriptural teaching and insight and encouragement! I too WILL BOTHER MY LORD AND SAVIOR JESUS CHRIST KNOWING IT IS NOT A BOTHER TO HIM AND HE WILL ANSWER MY PRAYERS IN HIS TIMING! I am going to keep moving toward my miracle. This has been the most trying year for me in so many ways and I have often said “why bother”. Your devotional was an inspiration. Thank you so much. God always knows what we need to hear. This is just what I needed today! I’m going to keep moving toward my miracle. Thank you for your blogs – you have no idea how much the Lord has used them in my life. I am going to keep moving,yes I am.I donot intend on giving up or giving in! Praise God!!!! I am going to keep moving toward my miracle! And I am praying for the Brenda (above) who is having a hard time. Thank you for this clear, encouraging, faith-building word. Although God has spoken to me through prophecies and His word, about things He has planned for my life – at 54 and not in the best of health, though not seriously ill – I sometimes wonder how much time there is left for HIm to bring these things into being. People, it seems, get in the way and appear to thwart God’s plans. Christians, mainly, I’m talking about. Those who ask us to consider serving in a certain way cos they can’t think of anyone more appropriate for the job but when we do it and are successful they stop asking us to serve. Those in leadership, who are supposed to be ‘growing’ us into our callings and who make boast that theirs is the type of church where people are allowed to grow and develop, but instead forget those who have served tirelessly and willingly for many years, often behind the scenes, in preference for younger, newer types similar to themselves. In all things, particularly in leading worship, I have been crushed, rejected, sidelined, until I no longer know what the miracle is I need to move towards. I’m going to keep moving to my miracle!! I am going to keep moving toward my miracle! Mark 5 now has a special meaning that I can remember in challenging moments! Just got to read your devotion on “why bother”. I believe I needed to read it today. I was pondering my “why bothers” this very day and needed to hear that some one else has them besides me. I am going to strive to keep moving toward my miracle. Asking God each day to help me ignore the “naysayers” and sending out everything that is there to bring me down!. Please pray that God will give me the strength to take each day to face each “why bother” moment. Thanks so much for sharing! I am going to keep moving forward, past my “why bothers” straight to VICTORY! I really want to thank you for this blog, i believe God used you to speak to me, cos i’v been asking myself why bother this year. I have been trusting Him for the fruit of the womb for a while now,wake up early in d mornig to pray and walk the floor, v cried and fasted but nothing has changed. I’d decided that i was going to stop this year since my prayers isn’t getting answered anyway,but thank you sooo much because i will keep moving toward my miracle. I’m going to keep moving toward my miracle, thank you. I am going to keep moving towards my miracle!! Thank you so much Sharon I love this!! As this new year began, I didn’t even think about a New Year’s resolution because so many times I have failed. I had the “why bother” syndrome too. Thank you for sharing this devotion, because since then God has been a hold of my heart. I know I need to follow God more closely this year and give Him every area of my life, even those that are failures and “why bothers.” He is with me always and He will guide me along His path. Please pray that I will follow Him everyday just as a sheep follows his shepherd, because He is my Shepherd and I am His sheep. I read the devotional two days ago and was touching to me. I said, I will keep moving toward my miracle. then last night trouble hits…and I forgot. So your reminder of today is sooo welcome. Yeah girl, I forgot so many times of the promise. 2013 was a brutal year. Please keep up your work, im sorry to say but too many of us need encouragement and reminders of brave woman like you. keep us online through the spirit of God. Remain loved. Sharon, I’m going to keep moving toward my miracle. I’ve always been strong – in all the wrong ways. I need some everlasting miracles. Thank you for always showing you are as human as we are and a worthy vessel for our Lord to use whenever encouragement is needed. I’m going to keep moving toward my miracle! I really needed to read this! Thank you! I am going to keep moving toward my miracle even though I really don’t know quite what the miracle is. I think it could be many little things or maybe what I dreamed of having. Only God really knows. But its scary and yet exciting! I love the text you used Mark 5 because in both cases I can identify with these characters. Naysayers are everywhere in the church and out. Remember they taunted Jesus even while He was on the cross. The enemy’s tactics are very shrewd and deliberate. In fact the criticism on Sharon’s typo was Satan in the background trying to keep God’s work from moving forward. Thank God Sharon didn’t listen to the voice of despair but listened to the voice of truth!. Thank you Sharon for allowing God to use you to help us in our journey toward His miracle. I am going to keep moving toward MY miracle…Thank you Sharon…we just have to keep going back to His word when we say “why bother” because: ‘Do not be afraid. Stand firm and you will see the deliverance the LORD will bring you today. The Egyptians you see today you will never see again. The LORD will fight for you; you need only to be still.’” — Exodus 14:13–14 Whewww is our LORD AWESOME or what!!!! I love you sister! I am going to keep moving toward my miracle. Amen, I believe! I’m behind in reading your blogs! Thank you so much in what you do through Christ, I was ready to give up on my son who is in a bad place, but I will keep pressing on! I am going to keep walking toward my miracle! 2014 is going to be a great year! I’m going to keep moving toward my miracle !! woohooo ! oh thank you so much for this post. i have a bad case of “the crazies” which really boil down to “why bother” which leaves me completely paralyzed and in a heap. my word of the year is fearless. i have not been living very fearless….oh well, it is only the 14th. after studying the Word this morning I came to the conclusion that it is about action. Yes, faith; obviously, but there has to be a fearless action on my part to get out of the “why bothers” I just love it when God shows me confirmation in other places. thanks again. I am so lost in life (I am 62, single) and am too tired to ‘bother’. I sure need a ‘sliver of a window to open’. It is nice to know a person is not alone in this. How can I ever be happy again. I have to keep moving, life makes you. I am always standing on the word ‘all things are possible for those you love the lord’. I don’t know if I can love again. My heart seems cold.I am also not asking for sympathy, I am just lost. I am going to keep on moving toward my miracle! Today is my 57th birthday and I have had a lot of “obstacles” to keep me from my goal, but today I choose to move forward and keep on! God is not through with me yet and I just want to rest in Him! A sort of word picture that I have in my head and will keep there is of Jesus at night rubbing my eyebrows as I fall asleep! My mother used to do that when we were babies and I’ve done the same to my own children. What a precious picture of Jesus being exactly where I need Him to be at exactly the moment I need Him! He is singing over me and rubbing my eyebrows! Some of the sweetest sleep I’ve ever had has come when I picture this and imagine it! Thank you and the other GIG’s for all your devotions, they all come just at the right time and you always say the greatest things. Because you follow God’s heart and you desire that we do that as well. Speaks volumes! I know in my life , I must continue to keep moving. I a in a lot of physical pain, emotional pain and really spiritually depressed. Only God can lead me, He saids,”I will never leave you or forsake you.”I am desperately trying to get some energy to just function. Only God can help me. Please pray for me! I am going to keep moving on to my miracle & my calling in Jesus’ name. I am going to keep moving on to my miracle! January in particular is not a good time for me. For 9 years, every third year I end up in the hospital. Twice for deep depression and once for a drug overdose. This a “third year” and I am DETERMINED to move on to my miracle and NOT end up in the hospital again. God has met me every single day this month as I have prayed for strength to love those in my life – including myself – even when I don’t feel like it and He has provided EVERY SINGLE time! I have so many other prayer needs – especially for my husband – but I know God has the best in store. You’re an awesome woman of God. THANK YOU, these words of encouragement are right on time… I am going to keep moving on to my miracle.